Lots of birthdays in September. So here is one more simple birthday card. 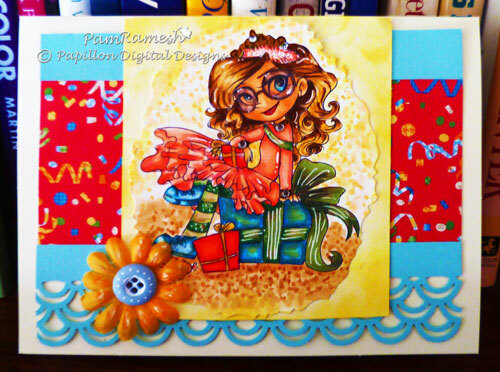 The digi image is from simply betty - http://simplybstamps.net/item_1356/Bday-Princess-Rio-Limited-Digi.htm colored using copics. Another beauty! Love the colors for the background too. TFS! Wow Pam - the colouring on this card is awesome!